Police officers Tim Franko and Jeff Canter drove their lifelong passion for classic cars into a new business when they founded BlueLine Classics in 2013. As Tim and Jeff grew up together—and later shared a squad car—two deep interests fueled their friendship: serving the public as police officers, and cars. Both Tim and Jeff are the sons of retired police officers and both have been riding around in classic cars for as long as they can remember. Over the years, Tim and Jeff have owned, bought, sold, restored, and enjoyed literally dozens of antique, classic, and muscle cars. When it came time to choose a name for their new business, the decision was easy. The Thin Blue Line is a symbol that has long represented police officers as the defenders of the community’s citizenry. Today, BlueLine Classics pays cash for the classic cars they stock in their showroom in North Royalton, Ohio. 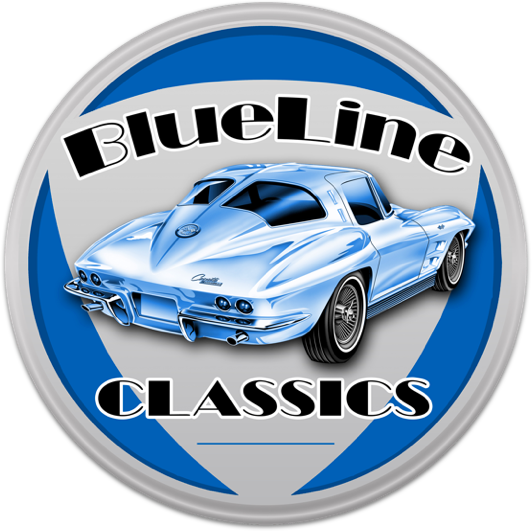 BlueLine Classics owns all of the cars in their inventory. Using their expansive network, Tim and Jeff sell cars to buyers as far away as Europe, Asia, and other spots all around the globe. Feel free to contact them if you're in the market for a new classic or interested in selling one of your own. BlueLine Classics offers financing options and transportation services too.